Every kitchen needs a toaster. 1:6 scale model kit of the famed Cylon Centurion! Derived from the Battlestar Galactica science-fiction franchise. Need a new toaster? This 1:6 scale "toaster" may need paint and glue for final assembly, but he's posed and stands over 13-inches tall in a menacing stance, ready for those humans! 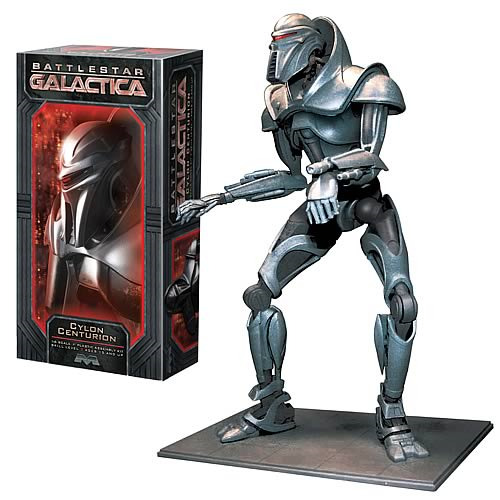 Order your Cylon Centurion Model Kit derived from the Battlestar Galactica science-fiction franchise today! Skill level 3. Ages 15 and up.